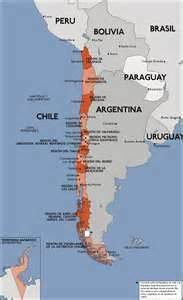 Here's the information for Chile for The Best TEFL Jobs in the World. The LA Job List has more schools that you might want to work for in Chile. You might also want to look at The Best TEFL Jobs With Worldwide Employers. English Open Doors: This is a volunteer position. however, they have consistently gotten good reviews by teachers who have worked there. It's also for a good cause. Universidad de Talca: They need teachers in the Department of Foreign Languages. In the past they have needed teachers who specialise in Blended Learning, and Assessment. You need to have at least an MA and 6 years teaching experience, preferably at the tertiary level. They advertise on TESOL.org The pay is 14,400,000-19,200,000 pesos a year plus benefits. Employer will assist with relocation costs. Here's the information for Ukraine for The Best TEFL Jobs in the World. You might also want to look at Europe for non-EU passport holders and The Best TEFL Jobs With Worldwide Employers. British Council Ukraine :Located in Kiev. Grade Education Center: Located in Kiev. International House Kyiv :Located in Kiev. LSE (London School of English): Located in Kiev. The obvious place to start is with your CV. It should get the employers attention fast, ie. about 10 seconds, so make sure it's impressive. Try reading teaching CVs to find out more. Perhaps more important, but often overlooked, is your cover letter. Personalise it, get the name of the person you're writing too and tailor it to each job. Don't press send too fast - you'll end up sending it Mr Smith when you're applying to Mr White's job advert. Find out more about cover letters by reading teaching cover letters. Secondly, when applying via email, try putting this in the subject line: Your name, highest degree held, and years of experience. So if you've got a professional CV and cover letter, the next step is to know what you're worth. Forget about the whole cost of living thing. Don't buy what some employers are telling you about how you'll make two, three, or five times as much as the locals. That's completely irrelevant since you're not going to live like a local. You probably won't speak the language, and even if you do, you won't have a network of friends and family like the locals do. Nor do most locals want to fly halfway around the world to visit family. Higher salaries often mean more serious teachers, so if you negotiate the employer will know . . .
that you've spent time and money getting the qualifications and experience necessary. I honestly think that one reason why employers create application forms is to cut down on the number of applicants. It's super easy to shoot off an email, but it takes time and effort to fill in an application form, even if you are copying and pasting from your CV. Employers want someone who will go the extra mile for a good job. FYI: jobs that have you fill out application forms are usually pretty good. If you have an interview, dress well and smile. Employers will decide if they want to hire you or not before you even open your mouth. You have about 10 seconds, yep count 'em, to impress them. Here are some tips on how to make a good first impression. It goes without saying that you should ask your references' permission before you give their email and phone number out. You should also pick good references. Directors or head teachers are good. Make sure they'll say good things about you as well. Having your original degrees, certs, and transcript on hand is an absolute necessary with all the fake junk out there. If you don't want to bring your originals, make sure to get copies authenticated or apostillised. The economy has a lot to do with things. If there are no jobs at home, more people will be looking at going overseas. Don't think there's going to be a huge flood of teachers though. While numbers do increase when the economy goes belly-up, many people don't want to deal with moving and uprooting their families. You can read more at Laid-Off Public School Teachers May Flood the Fairs. Keep in mind that some schools, such as international schools prefer single teachers or teaching couples with few or no dependents. If you are married to a non-teacher it may be harder to find a job. If you are married to a non-teacher and have dependent children it will be harder. There's a list of the best international school job fairs for people with kids and bringing dependents with you. Age can be an issue as well. The cut off age seems to range between 55-65 depending on the school and the country that it's in. You might be too young as well. Malaysia, for example, won't issue teaching visas to those under the age of 26. Not enough experience. Some schools prefer you to have at least 2 years teaching experience. Others may be willing to waive this requirement. Nationality can be a problem too. While many teachers want to teach in Europe, some schools don't want to jump through the hoops of getting work visas for those without EU passports or those who can already teach there (for example, spouses of EU citizens). Read Europe for non-EU passport holders for more info. If you want to teach at an international school check out what esl4everever says on this post, "From what I understand American schools do not require you to have any type of dual or EU citizenship. American schools are backed by the United States Department of State. The schools are supposed to be ran by US standards to a point although they are located in another country." Whether this is true or not I'm not sure. It's best to check with each individual school. I know that DODEA schools only hire Americans or those with permission to work in the US, so that might be an option. Not being certified may be an issue, though there are ways around it. Here's some info on how working as a PNET (Primary Native English Teacher) in Hong Kong could help land you an international school job. Not being a native speaker. Some schools are very strict on this policy and will only hire native English speakers. More information. There are also a number of good books that will tell you how to get an international school job. Do You Need a License to Teach at an International School? You can still get hired at an international school. Different schools have different rules. Your background will also come into play. Find out more by reading teaching at an international school. There are also a number of good books with information on how to get an international school job. The type of school. Some schools, such as Christian schools may will accept teachers with no license. Where the school is located. Those in less popular countries (such as Myanmar, China, Indonesia, Middle Eastern countries, Bangladesh, Azerbaijan) may accept teachers with no license. Even if you want to work in a popular country you could get a job, depending on your background and experience. Schools need people with real life experience and know-how. If you are already in country as a resident you might also be able to work full or part-time. The best thing to do is apply to schools and see what they say. What Do People At International Schools Think? ISR wrote a post about in November 2009 called, International Teaching Without Credentials. They also have info about having a Master of Education, but no teaching cert. People are very opinionated about this topic, but many teachers as well as principals believe that non-certified teachers can be good teachers. Read their opinions below. cbp disagrees with Louis and said quality of teaching doesn't matter; only licenses do. lostone says you shouldn't just be judged on a piece of paper. molson says that 90% of the things being taught are a waste of time. Duras says that he say people switch their majors to teaching because it was the easier thing to do. He also saw qualified teachers stop teaching because it was too hard, they had too little vacation, were bored, etc. He also says there are too many programmes out there trying to get teachers. anonymous says being a good teacher is innate. Some schools may help you get certified. Many Christian schools accept certification through ACSI and certification is relatively quick and easy if you have a degree. Salaries at NICS may not be as high as secular international schools. 20% get a full salary and benefits. 30% are offered a partial salary and the other 50% have to raise their own support. You can get your license online. Some international school recruiters may help you as well. Search Associates used to do this and others may as well. Find a list of recruiters here. 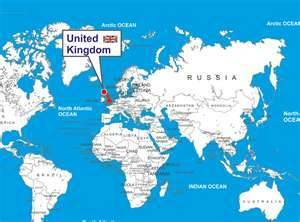 Here's the information for the UK for The Best TEFL Jobs in the World. You might also want to look at Europe for non-EU passport holders and The Best TEFL Jobs With Worldwide Employers. Poll Results July 2014: How long have you been at your current job? July's poll was "how long have you been at your current job?" Here are the results. It seems that most people are relatively new to their job. If you're going to try to move up, check out making a career out of TEFLing. 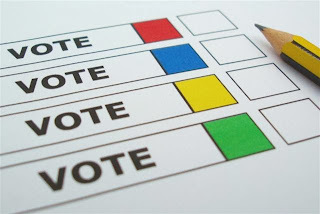 Be sure to vote in this month's poll: Do you let your students use their cell phones in class? Do you let your students use their phones in class? There seem to be a lot of tips out there for beginners and advanced students, but few for intermediate students. It's a shame, because intermediate students hit a plateau and can get easily discouraged. Below you will find some tips for helping your intermediate students and keeping them motivated. Teach your students how they can improve their English. Students tend to get stuck in a rut and not try new ideas. Show them what else they can do. Have students keep track of their goals. They should look at them regularly and cross of the goals they've achieved and think about what they can do to reach the other goals. Try recording students regularly. A simple tape recorder will do, though videos are better. Students can watch themselves and see how much progress they've made. Portfolios are great as well. Students should save their work and look back to see what they've achieved. Try new activities. ESL About has tips for teachers and students. You can also find a lot of links in the lesson planning article. Have more advanced students come in and talk about their language learning experience. They can give tips on overcoming the intermediate plateau as well. Here's the information for Spain for The Best TEFL Jobs in the World. You might also want to look at Europe for non-EU passport holders and The Best TEFL Jobs With Worldwide Employers. Ministry of Education language and culture assistant programme: You'll earn more if you're in Madrid. However, some people have gone months without being paid. See this post for more info. Ucetampbu and EC Madrid have more info. Here's the information for Slovakia for The Best TEFL Jobs in the World. You might also want to look at Europe for non-EU passport holders and The Best TEFL Jobs With Worldwide Employers. If you're going to teach English abroad, chances are you're going to have to do some paperwork regarding documents, such as your degree and criminal background check. There are a few things you need to do before you go. If you don't have the time to wait, try using a service that specialises in notarising, apostillisations, and authentications. Here's a list of the ones I know of. Documents are apostillised in order to prove that they are real and true copies of the original documents. They do not, in anyway, prove that the original is legit. (Therefore if someone has a fake degree, they could still get the copy of it apostillised since it only proves the copy is a real copy of the fake degree.) The purpose of getting documents apostillised is so that the originals can be kept in a safe place. In order to get documents apostillised, you usually have to take the original and the copies to a notary, who then examines both the original and the copies to make sure the copies are true copies. The notary then signs the copies. The original can then be put in a safe place and the copies are sent off to be apostillised. If you're from the US and need something notarised, try Sign Now. It's accepted in all 50 states and much cheaper than going to the embassy. 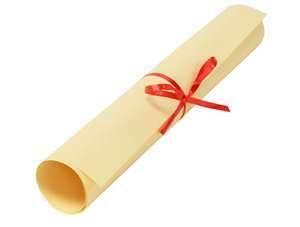 Getting a degree authenticated is a totally different matter. An authentication does prove that the original is legit and can only be done by the issuing institute of the document (your university) or a specific organisation that specialises in authenticating degrees. Your employer will tell you which one they want you to go through. You may want to use both. If you go through your university, you might want to have sealed letters from my university registrar verifying your attendance and degree conferral. Having sealed transcripts will also help. If your degree is from the US, you might be able to use Degree Verify if your university is registered with them. So a quick summary would be that apostillisations prove that the copy is a legit copy of the original whereas authentications prove that the original is indeed legit. Got all your docs ready? Then take a look at 30 Days to Move Abroad. It makes moving overseas a breeze. Travelling cheaply doesn't have to mean missing out on a lot. The article below has lots of links to help you get the most bang out of your buck. In this article you can find information about flights, accommodation, insurance, packing, budgeting, and making money while travelling. There are also a number of good books out there about travelling cheaply. The articles Cheap Flights and Cheap Flights to Latin America also have lots of tips to help you get the best deals out there. The article Free Housing and Home Exchanges has ideas on how to stay for free. You might also want to check out Travel Independent for backpacking ideas. If you want to learn a foreign language while travelling, try reading free housing in exchange for language classes. You should read up on visa requirements and travel information, including travel warnings in Visa and Travel Information. While many people are looking to cut corners, you shouldn't skimp out on insurance. Travel Insurance has a list of some of the best travel insurance carriers out there. Everyone knows that they should take half what they think they need and double the money, but few people actually do because they don't know how. One Bag has ideas on how to fit everything into one bag, even if you travel for months or years. They have a packing list, but they also advise you to make your own list. Nomadic Matt explains how to choose the right backpack for your needs. Lost luggage? Missed a flight? I know that you're angry and upset, but one way to get what you want and not stress out the customer service people too much is to be nice. So you'll be late or your luggage will arrive a day or two later. It's not the end of the world. It's an adventure. If anything, it'll teach you to travel light and to be flexible. When you go to talk to the customer service representative, take a deep breath and smile. Remember SEE: Smile, Empathy, Empower. By empathesing with them you can empower them and they're likely to help you out in return. Be calm and polite and say something like, "Wow, looks like it's going to be a stressful day. It must be difficult to deal with everyone." They'll probably smile and nod or say something like, "You wouldn't believe it." You could also try empowering them by saying, "If anyone can make this happen you can." You'd be surprised at how being nice and polite can get you what you want and you might even get an upgrade or pass to their airport lounge or miles. Remember to say thank you, even if they didn't get you want you wanted. Here are some more tips when dealing with customer service reps.
Just as budgeting should be part of your daily life, you should budget while travelling as well. Nomadic Matt wrote an ebook called save $1K off your next holiday. You might also want to take a look at creating a budget. You don't need to stop making money when you go on vacation. Two articles: earning money online and teaching online offer some options on how to continue earning money. Some people have gotten so successful at it that they have become location independent, meaning that they can work anywhere in the world. Credit Card search for best rewards. Many people agree that Capital One's Venture, United Mileage, and Chase's Sapphire are among the best.